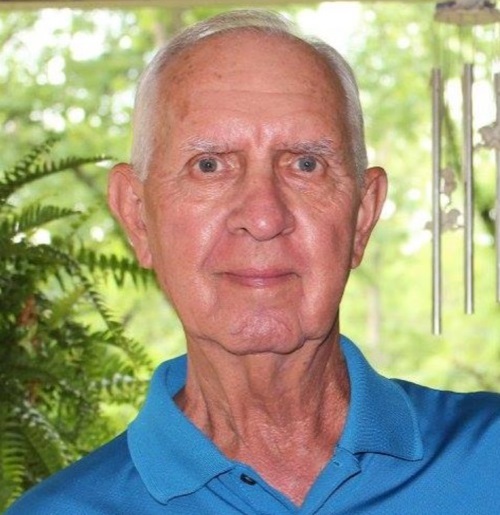 Donnivan Gayle Ward, 80, of Bentonville, AR, passed away February 2, 2019, at Mercy Hospital surrounded by his family. Gayle or “Bubba” as he was known to his family, was born January 25, 1939 in Blanket, TX. He was preceded in death by his parents, Bertrum Loyd Ward and Marion Hazel (Whitmire) Ward; brothers, Norman Lane Ward, Charley Dale Ward and Witzel Ward, sisters; Patricia Mae Ward, Kathy Deon Ward Brewer, and Diane Ward Martinez, and a step-son, Larry Dean Mills. Gayle will be dearly missed by his ex-wife and still friend, Sandra Ward; daughters, Michelle Hamlin and fiance’ Scott Patterson of Rogers, AR, Robin Ward Jones and Jeanayle Renee Ward of Midland, TX; brothers; Robert Michael Ward and wife, Patty Ann of Bryan, TX, and Johnny Doyle Ward of Ranger, TX; grandchildren; Alexis Nicole Hamlin and Kelsey Lanette Hamlin of Rogers, AR, Jessica Pierce, Jennifer Jones, and Jacqueline Jones of Austin, TX, several great-grandchildren; and many more dear relatives and friends. Gayle loved his family and his sports. He played football for Stamford High School. He was an avid bowler and bowled with several of his dear friends in a Thursday night bowling league. He enjoyed anytime spent on the lake fishing or in the woods hunting. He had so many funny stories from the various fishing trips he and his buddies took. Softball and Baseball were two of Gayle’s favorites, especially if it involved coaching his daughter, Michelle or being able to watch his granddaughter, Kelsey play. He kept every newspaper clipping of her stats and made sure he was at every game. He loved to share with family members how she had played, how many homeruns she had hit, or some fantastic play she had made. Going to watch Baseball games was a favorite past-time, and spending time with family attending the games in person was one of his joys. Gayle’s favorite college team was his beloved Texas Longhorns. When Baseball season was over, Gayle was ready for football season. The Dallas Cowboys were his ride or die, whether they were having a good year or not. He and his brother, John loved to text and bet each other on who was going to win. Gayle loved music, especially country, and loved to brag about his granddaughter, Alexis’ singing. He enjoyed attending concerts to listen to some of his favorites. His favorite place to eat was Red Lobster and it was a requirement for every birthday. Gayle was a reader as well. He had read almost every western written, so much so, that he would have to check out the same book twice and start over. Gayle was extremely quick-witted, and loved to make others laugh. Whether it was the funny T-shirts he wore, the jokes he made, or the sometimes questionable sense of humor, you were never without a smile when he was around. Gayle absolutely loved being a Grandpa. Some would call him the Goofy Grandpa or the Cool Grandpa. He was always down for taking selfies, acting funny, learning something new on his iPhone, or styling in his sunglasses. He didn’t like to miss an episode of Jeopardy and was always learning some new information so he could beat his family at Trivia Crack. He was never ashamed to let you know that he beat you. A Memorial Service will be held at 3:00PM, Friday, February 8, 2019 at Stockdale-Moody Funeral Service. In lieu of flowers, memorials may be made to the Heritage High School Softball Team, care of Coach Tiffany Taylor, at 1114 S 5th Street, Rogers, AR 72756.